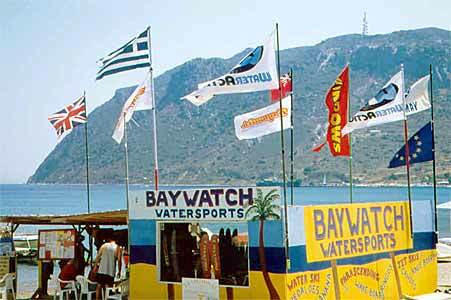 Hi, A very warm welcome to Baywatch water sports. 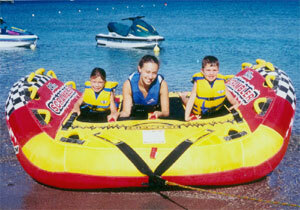 We are very proud to advertise that we are a family run water sports with excellent staff who are all friendly and fun. Our family is extended every summer time when our now friends return each year to Kefalos and Baywatch. 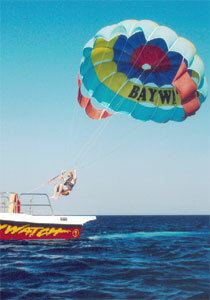 George opened Baywatch more than 10 years ago so you will be very satisfied with our experience and expertise in water sports. We offer a friendly professional service and we also speak very good English. We offer a large variety of water sports (plus pedalos with slide) and have all the latest equipment and rides available - something for everyone. 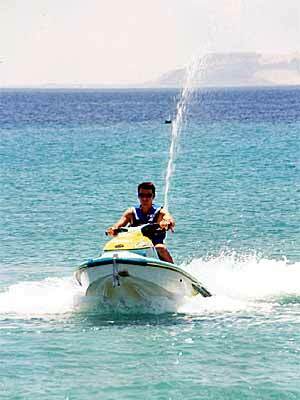 Here is your chance to take home your happiest memories of Kos with Baywatch water sports - come along and enjoy yourselves. Everyone welcome, beginners and experienced skiers. We have a wide range of skis to suit everyone. 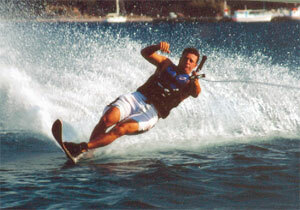 At Baywatch we have a lifetime of water-skiing experience. The team have coached hundreds of beginners, giving them the exhilaration of their first ski around the bay. Our patient and qualified instructors and latest equipment makes it easy to learn. In fact at Baywatch, learning to ski is as easy as A, B, C. Our ski school has been teaching total beginners how to ski for over 10 years. Our staff will even get in the water with you. We have taught young children all the way up to grandparents. So do not miss it! 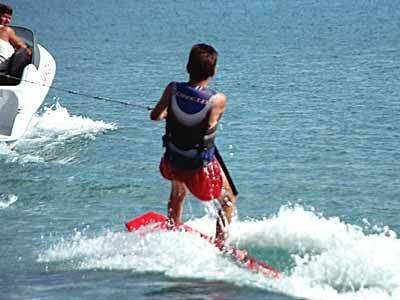 Learn how to water-ski, you will love it. If you want the exclusive services of a ski boat and captain for a custom trip or any water sports activities you require, charters can be arranged on an hourly basis. If you are lucky this could be your opportunity to meet dolphins that visit Kefalos every summer. If you are planning a wedding on the Island of Stephanos our speed boats are also available for transfer to and from the Island. Hold on tight and get your adrenaline going with the fastest, most exciting ride there is. Thumbs up faster, thumbs down slower-the choice is yours. Safe and fun for the kids. For those who want a real challenge- set up a competition with your friends to see who can stay on the longest or fly the highest!. You will be laughing all the way. 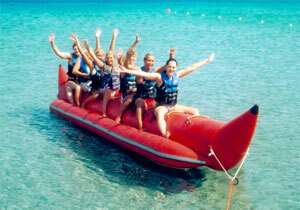 We have a wide variety of rides to suit everyones choice of pace! ...everyones favourite! 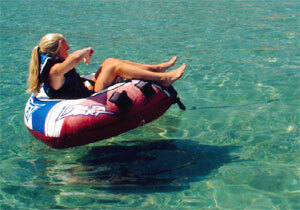 Single or double we have the safest and newest Jet Skis. They are really easy to drive, just like riding a bike. As you are the driver you can choose the pace - nice and easy or, if you want to let off a little steam, full speed ahead. 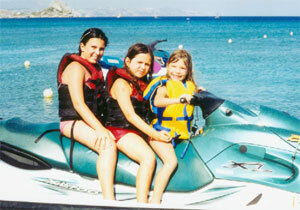 Either way our Jet Skis are for you - have fun!. 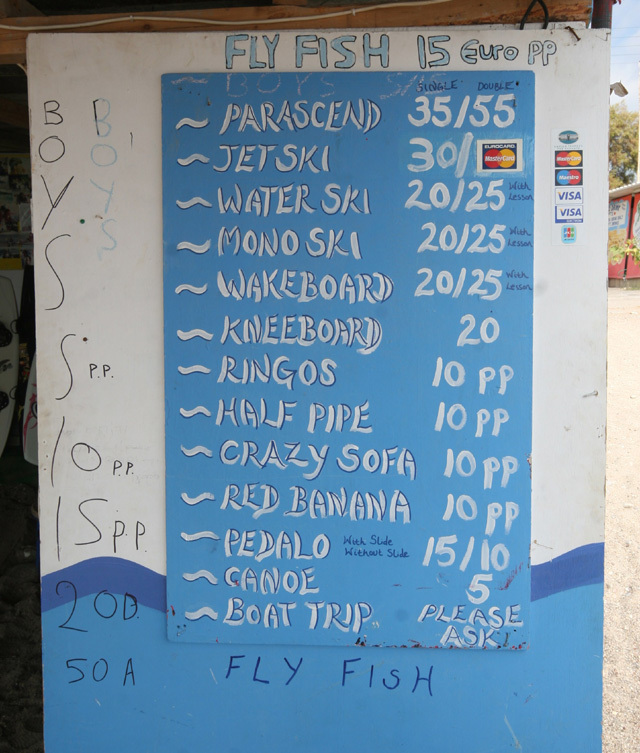 If you fancy a challenge, then why not give wakeboarding or kneeboarding a go? Wakeboarding is a combination of water-skiing, surfing and snowboarding and offers the ultimate thrill of cruising round the bay. Wakeboarding is very easy to learn. You will follow the same procedure as water-skiing. The key to making wake-boarding easy and fun is this; let the boat do the work! You will hear us say this all day! It means that you use the energy that the boat provides instead of overworking yourself. We have many more useful tips to ensure you get the most out of your lesson. All beginner lessons consist of a lesson on the beach followed by instruction in the water. Do not be discouraged if you do not make it up first time, our boat drivers are very patient and as with anything practice makes perfect. Happy wakeboarding! The old part of Kefalos sits on top of a hill crowned by an ancient windmill and has retained its Greek charm, with narrow streets and pastel-painted houses and shops. The new village sits at the foot of the hill, nestled around Kamari Bay is long sweeping beach and that is where you will find the holiday accommodation. Everything you need is there - shops, money exchange, car and moped hire, and there is also a regular bus service into Kos town. To get there, you can either book a package – Manos, Libra and Olympic feature Kefalos in their brochures and both Club Med and Mastersun have complexes on the outskirts of the village. There are charter flights to Kos from all major airports in the UK throughout the summer and once you get to Kefalos there are rooms to rent but book in advance if you are going in the high season. 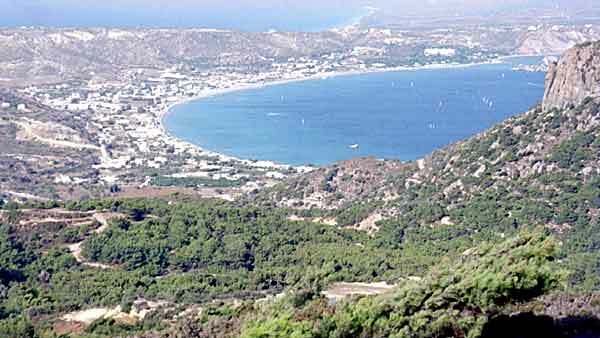 There is a huge choice of bars and restaurants to suit all tastes and both meals and drinks in Kefalos are inexpensive compared to the UK. Be warned: they do not use measures to serve spirits – they just pour! Measures are extremely generous – be careful if you are driving. Before any activity in the water, the staff will explain our safety rules, and the rules of the road here in Kefalos Bay. 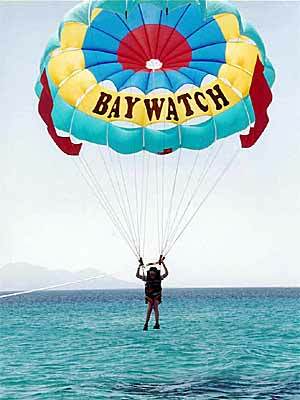 We ask all clients to listen carefully to these instructions, and respect Baywatch regulations. It is our number one priority that everybody who joins us here on the beach has the time of their life, and as much fun as possible. BUT THERE IS NO FUN WITHOUT SAFETY. All safety rules and decisions made by staff are made with years of experience working with in the watersports industry. It is our discretion to make decisions based upon knowledge of the bay and weather conditions to ensure your safety at all times.